my little suitcase is currently housing all of my favorite summer photos so far, some of my favorite props, a few pieces of different collections and few things i'm pondering. i'm just loving it! 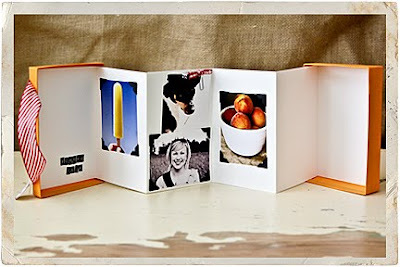 -just arrange photos and clip to suitcase liner. 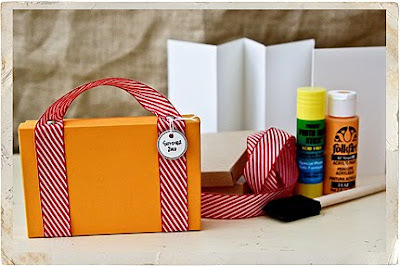 -paint your box & lid as desired and set aside to dry. -while your box is drying, cut your cardstock in a length to fit your box and fold in an accordion to fit. make as many accordions as you'd like and adhere together. -next adhere ribbon to the front of the box lid starting on the inside of the lid, going up the front, leaving a loop for a handle and coming back down & inside. if desired, punch holes through the side and placing brads through. -adhere your accordion to the inside of the lid and inside of the bottom. 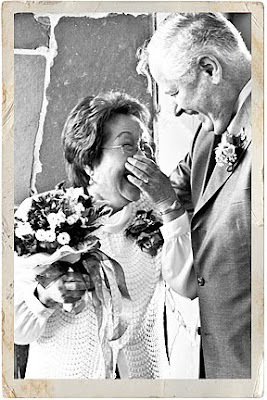 -decorate with photos and memorabilia! 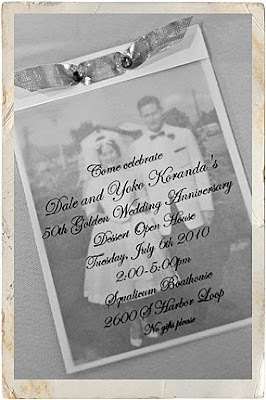 while the hubs and i are busy working on putting the finishing touches on the our online shop (yay! ), this is how ellie is spending her days...napping in the sun! i actually interrupted her nap with my picture taking. a dog's life looks rough right? hope you get to soak up some sunshine too! 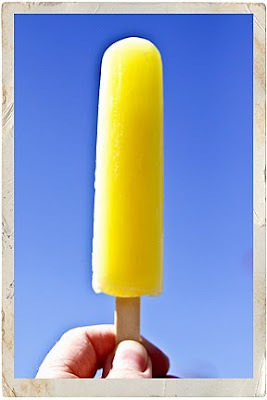 remember how i shared my summer peach photo with you and i said i was making crisp? 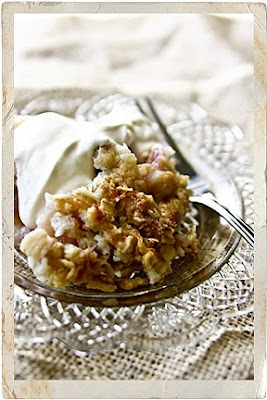 well i've been obsessed with peach crisp ever since! we've been eating it for breakfast at my house all based on a wonderful recipe from smitten kitchen (if you haven't read her blog, it's fabulous!). the crisp is so easy and so yummy with a little yogurt on the side! hope you're morning is starting off as sweet as mine! 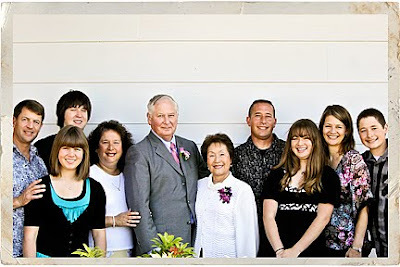 here is a little sneak peek for miss diane and her wonderful family. 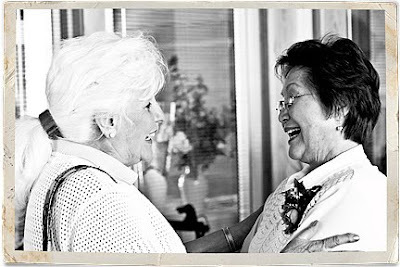 i was honored to join them for her parents' 50th anniversary party and i was truly touched by all the love & joy i witnessed. thank you bergquist & koranda families! you are lovely! 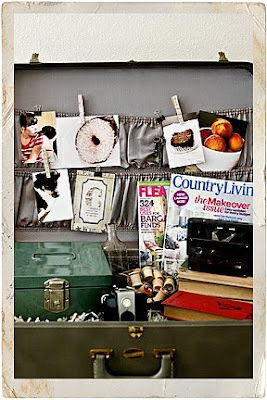 -paint cork board as desired and set aside to dry. -stretch large rubber bands over cork, making sure bands go over & under each other. this might be a good part to do with an adult helper, depending on the age of your kiddos. 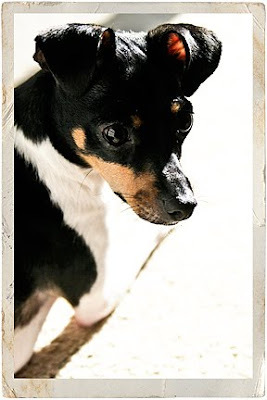 -add photos and other fun stuff! -lightly sand clipboard and then clean off with a damp cloth. 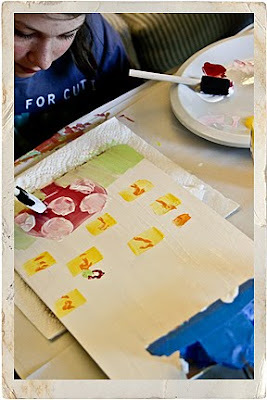 this will help paint adhere to the surface and might be a good task for adult helpers. 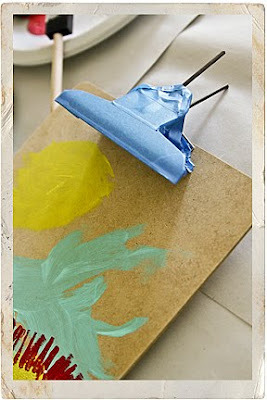 -if desired, tape off metal clip with painters tape. and if you really want to get tricky, place a piece of heavy gauge wire through the clip and bend in half to keep clip open and make clipboard easier to paint. both tasks are great for adult helpers. 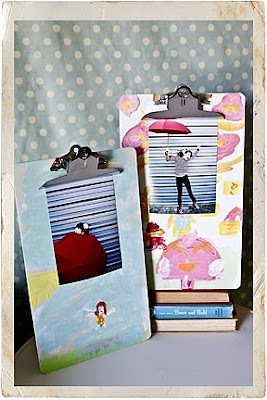 -paint clipboard as desired and just have fun!!! -when done painting, set aside to dry completely. 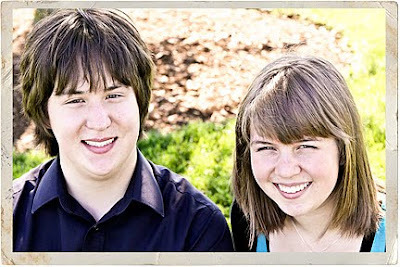 -hang where desired and add photo! 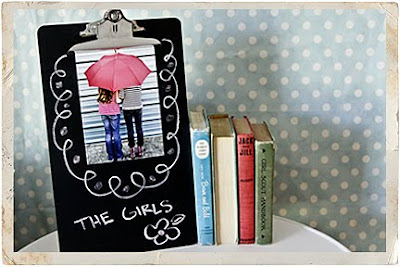 for something a little different, try spraying a clipboard with chalkboard paint, decorating with chalk and adding a photo! 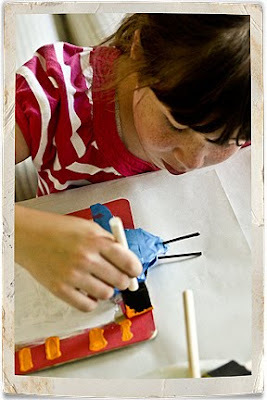 great for younger kiddos (once an adult helper has painted it) and also makes a super gift! happy friday! 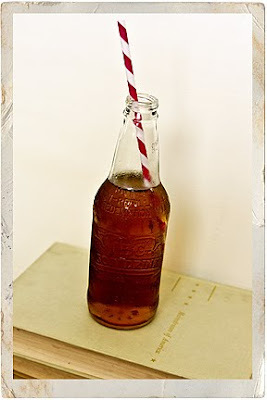 so hope you're finding ways to stay cool and slow things down this summer, like sweet sodas & fun straws! 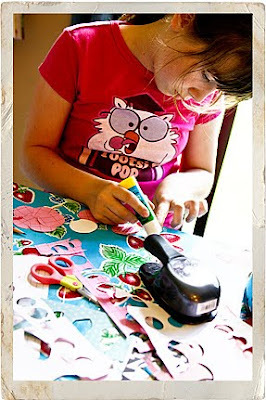 today is the return of friday creative and the first of a month of kids photo crafts! today we are making flower photo holders. my official "testers" kate & sam tried it with me earlier this week and we had a pretty super time! hopefully you and your kiddos will think it's super fun too! -paint dowels and set aside to dry. 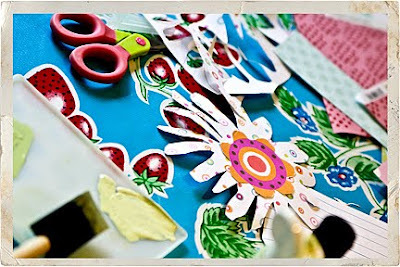 -start crafting your flowers! my sweet project testers, kate & sam, made super cute flowers from hand cut petals, grouping circles and cupcake liners. 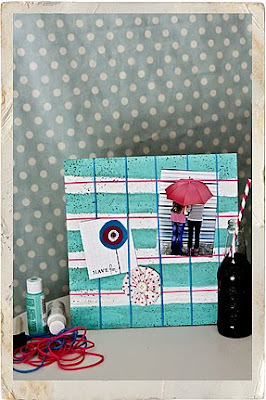 get creative and use a good glue stick to hold them all together! 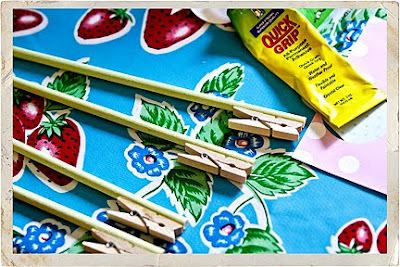 -when dowels are dry, adhere clothespins to the end. apply a bit of pressure to each dowel/clothespin to get a good bond. this is a good part for an adult to help with, especially if using a strong, smelly glue like Quick Grip. 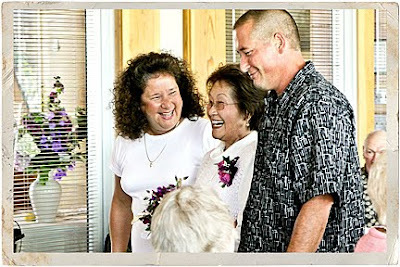 -adhere flowers to front of dowel (on the same end as clothespin) with top of dowel right at edge of flower (so that when you have a photo in your photo holder, the flower won't obscure too much). again this is a good part for an adult to help with. 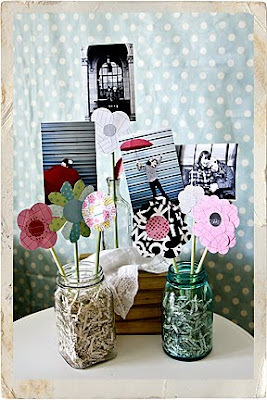 -place your flowers in a fun jar or vase and add photos! p.s. 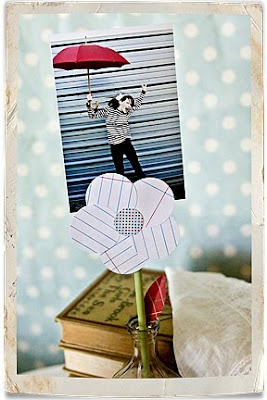 adorable flower photo holders by kate & sam (and one by their mama tammy t)!